The library in Heidelberg is closed for summer break until the end of August. This picture will keep me company until then. 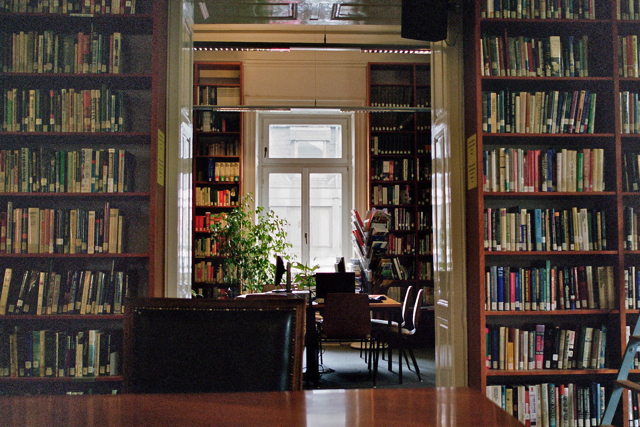 What a beautiful library and beautiful photo! I can’t quite explain why, but this is one of those photographs I can keep looking at endlessly. And yes, it is a small and beautiful library.